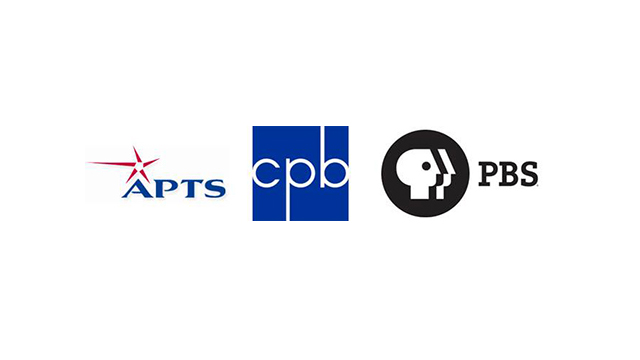 ARLINGTON, VA – June 6, 2014 – The national leadership of public television commends the Federal Communications Commission for its timely release of the Report and Order governing the forthcoming spectrum incentive auction process. We are obliged to express our profound disappointment that the Commission has rejected one of public television’s most important policy goals in the auction process — our request that the Commission ensure that no community find itself without free access to public television service in the aftermath of the auction. The Public Broadcasting Act specifically mandates that public television reach every American citizen, everywhere in the country, for free, and for more than 60 years the Commission’s own policies on spectrum reserved for noncommercial educational television have honored and safeguarded that mandate. We believe the Commission’s rejection of this long-standing policy is a grievous error that risks breaking faith with the nation’s commitment to universal service for non-commercial educational television. We appreciate that the Commission has accepted our requests for advance payments for 90 percent of our station’s repacking and other relocation costs, protection of our stations’ reach to specific existing viewers, implementing the statutory must-carry rights for any stations that elect to share channels, enabling our extensive system of translators (especially in rural areas) to continue operation unless and until there is an actual wireless build-out, covering the unique costs that public television stations will face in the repacking, permitting VHF licensees to voluntarily share channels in the UHF band, increasing the proposed 18-month repacking time frame to at least 39 months, and other more technical improvements. These are significant policy decisions benefiting public television and its viewers. And, while progress has been made in extending the time for completing the repacking process in the aftermath of the auction, we agree with the Commission’s own study that the 39-month time frame remains insufficient, given the scope and scale of the work to be done and the relatively few engineers and technicians available to do this work. We continue to believe an extension of the time for accomplishing this transition is essential to ensuring that no community loses access, even temporarily, to any broadcast television station as a result of the repack. Finally, we believe it is imperative to include consumer education as a reimbursable expense associated with the channel relocations that will follow the auctions. The American people have just recently endured the transition from analog to digital television service, and they now face the prospect of still more channel confusion as the repacking unfolds and broadcast technology continues to evolve. We understand that the Commission is constrained by statutory limitations on the repacking timetable and the consumer education policy, and we hope that Congress will be willing to revisit these issues in light of current market conditions. We look forward to working with the Commission and its dedicated staff toward the fair and effective resolution of these and other outstanding issues, for the benefit of the American people. The Association of Public Television Stations (APTS) is a nonprofit membership organization established in 1979. The mission of APTS is to conduct – in concert with member stations – advocacy, planning, research, communications and other activities that foster a strong and financially sound public television system providing essential public services to all Americans. Its affiliate APTS Action, Inc. promotes the legislative and regulatory interests of noncommercial television stations at the national level through direct advocacy and through grasstops and grassroots campaigns designed to garner bipartisan congressional support. For more information, visit www.apts.org.